Custom Made Strong Wooden Shipping Crates, Packing Cases. 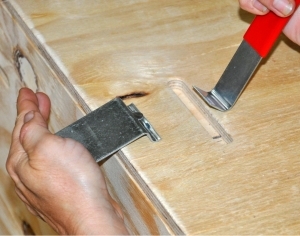 Export crates are ISPM 15 certified. 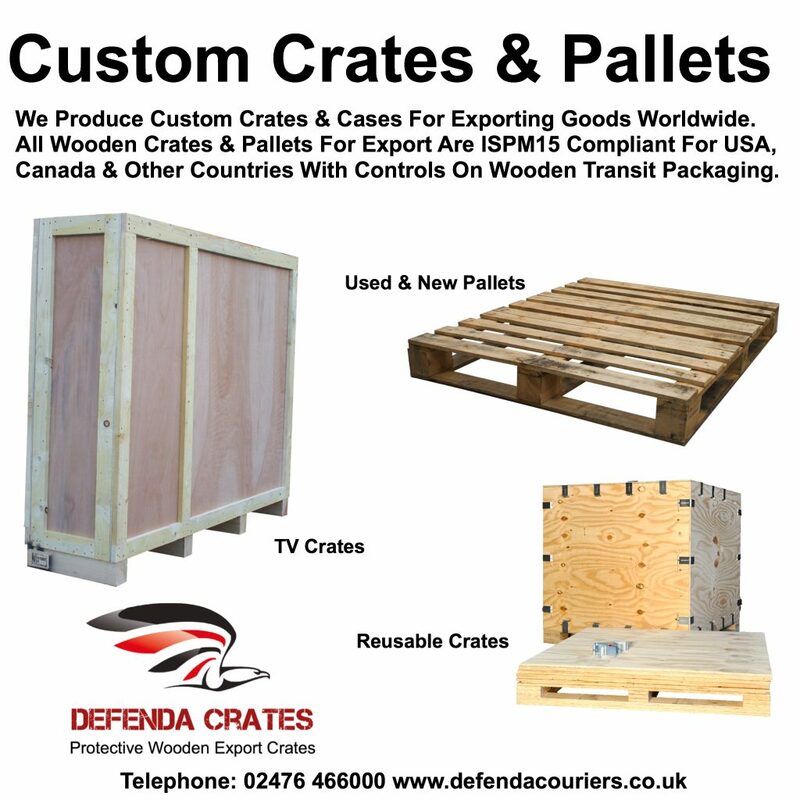 If you are looking to enhance the protection of your goods for international or even domestic transport & distribution, Defenda Transport & Logistics Ltd can help produce strong custom made wooden shipping crates, packing boxes and containers to ensure the maximum protection of your goods during transit. 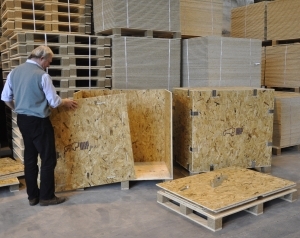 Whilst lots of goods are fine on standard open pallets, we understand that many items would benefit from the added protection of a specifically produced plywood or wooden export container / crate. We work with many clients in numerous industry sectors to provide highly protective packaging solutions including various wooden containers along with speedy transport services. We can even help general members of the public wishing to protect their personal items for international or domestic U.K. shipping with our bespoke timber large screen TV crates and cases. Other bespoke wooden packaging can be produced to protect your important items. In addition to standard or custom made shipping crates, containers & cases for industrial use, we also produce custom crates for things such as: musical instruments, antique furniture, bulk automotive components, motorcycle containers. We even produce protective crates for complete cars, chassis and other new or collectible vehicles for both U.K. distribution or export. 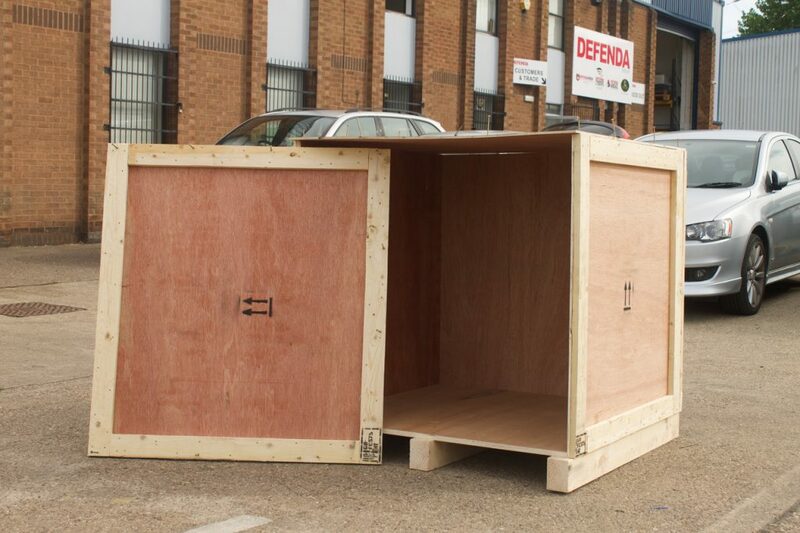 For a tailor made Defenda Shipping Crate — call us on Coventry 024 76 466000 to discuss the products you need to protect and we will be happy to quote on suitable cases. 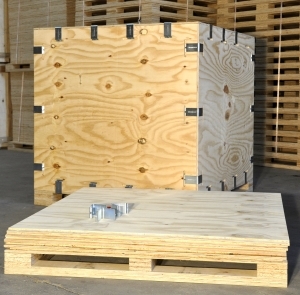 Crates are supplied with pallet bases for easy handling with pallet trucks or fork lift trucks. Defenda Wooden Shipping Crates are IPPC ISPM15 certified when produced for export of a client’s products — often referred to as wheat stamped, corn stamped or big stamped by companies importing to the USA, Canada etc. 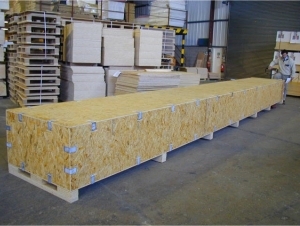 Save On Space & Packaging Costs With Reusable Wooden Pallet Packing Crates, Cases & Containers. 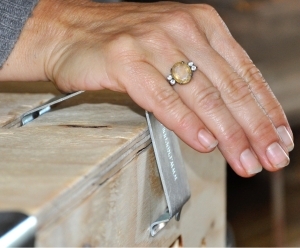 Callapsible options are extremely convenient as a fixing clasp system means that the crates can be easily stored using less space prior to goods being packed. Once your delivery has arrived with your customer items can quickly be removed by your client and the case disassembled and brought back on the same delivery vehicle — if practical to do so. Alternatively the shipping crate can be collected on a subsequent visit if the delivery is to a regular client. Whatever you need to ship — shipping cases can be produced to suit your particular goods.